The UConn Department of Public Policy Nonprofit Leadership Program offers non-credit and graduate options that provide the skills needed for those just entering the field, up to seasoned CEOs. Courses and programs are taught by UConn faculty and experienced leaders from the nonprofit sector. The UConn Nonprofit Leadership Program provides you with the skill-sets to navigate the multifaceted roles and complex work environment of the nonprofit sector. Courses and programs are taught by UConn faculty and leaders in the sector who are subject matter experts in leadership; organization management; program development and evaluation; fund development; grant writing; governance and the full body of nonprofit operations. Due to its robust format, the Online Graduate Certificate in Nonprofit Management provides a core foundation for those entering the field and prepares current nonprofit professionals for new leadership roles in their organization and the nonprofit field. With a ten-year track record, Encore!Connecticut immerses transitioning corporate executives into the nonprofit field. Whether you are a student seeking to enter the field, a current nonprofit executive preparing for your next leadership role, or an individual seeking to transition your skills and experience to a nonprofit career, the UConn Nonprofit Leadership Program will help prepare you for a position in the nonprofit sector. UConn Gives Campaign to Benefit DPP Students is LIVE! This full-day workshop will describe the concepts and appropriate use of program evaluation, performance evaluation and program monitoring; differentiating between them. Learn how to identify and apply outcome-focused program design to new and redesigned programs, and develop strategies to engage staff and providers in evaluation efforts. 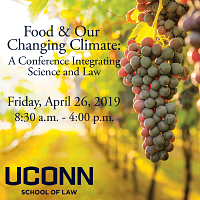 To RSVP visit http://dpp.uconn.edu/collaborative by April 2, 2019.